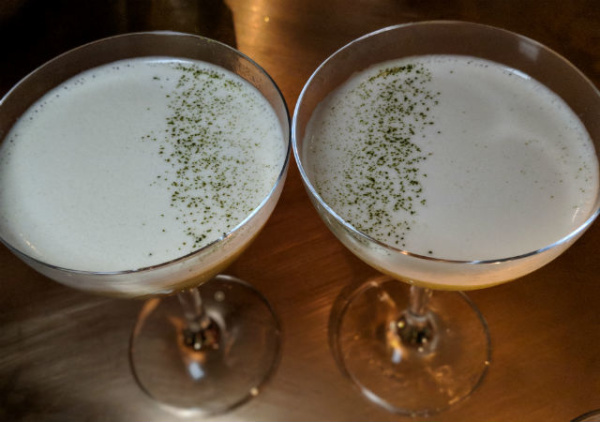 Could the marijuana martini become a staple on cocktail menus? Don't be surprised. 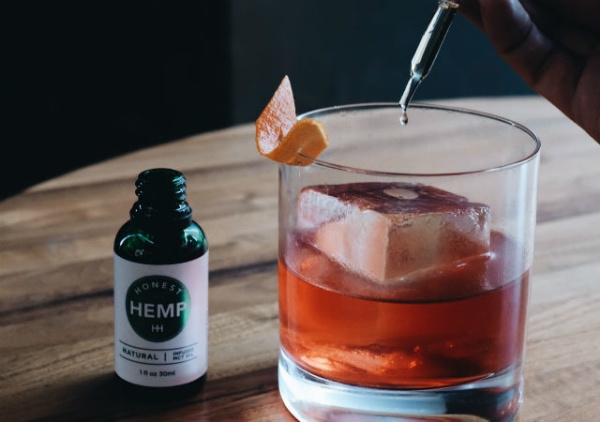 Bartenders are mixing CBD and terpenes — the compounds in cannabis that don't get you high — with mezcal, gin, scotch, cachaça and pretty much every other kind of liquor to create drinks like the Stoney Negroni and the Rolled Fashioned. Here in Los Angeles, Jason Eisner kicked off the trend in 2016 at Mexican vegan restaurant Gracias Madre. For him, it wasn't a gimmick. It was a way to educate people about the health benefits of cannabidiol... while giving them a full-body buzz. The legalization of recreational marijuana means more bartenders have hopped on the bandwagon. Although CBD doesn't have the mind-altering effects of THC, you definitely need to be aware of how much you drink. And when I say "you" I mean "me." After baby sips of three Gracias Madre drinks, I felt as if I'd downed two full cocktails. But not in a falling-down drunk way, just feeling soooooo gooood and — bonus! — without the telltale signs of an impending hangover. Some people claim CBD can even soothe the downsides of drinking too much alcohol. 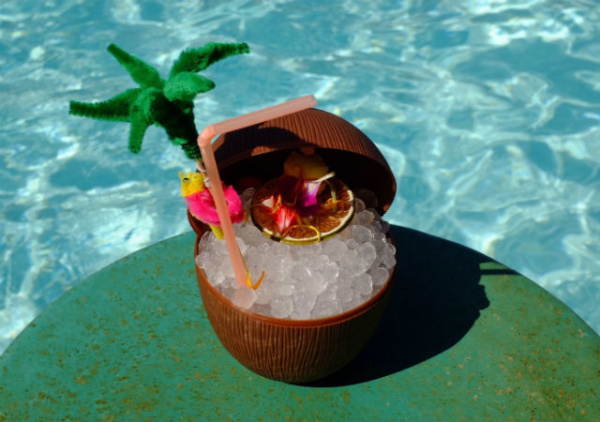 Want to experience the hottest trend in booze? Here's where to go. Like In & Out's animal style fries or its 4x4 burger, Nice Dreams isn't on the menu but if you know what's up, you can order this secret concoction — and look ridiculously insidery while doing it. Bar manager Dee Ann Quinones' adds CBD oil to mezcal for a subtly smoky and giggle-inducing drink. 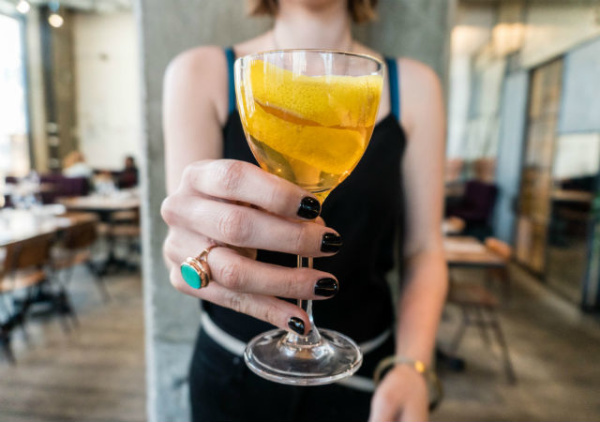 Although the Belgian pub is best known for its beer, assistant GM Lisanne Magnus fell in love with the flavors and homeopathic benefits of CBD. "CBD heightens feelings of relaxation and euphoria. Why wouldn't I want to add it to a cocktail?" she says. 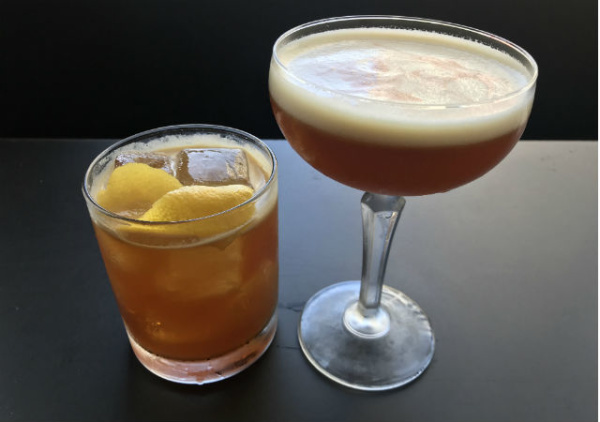 In the Gentle Monk, she mixes gin with a CBD alcohol-based tincture, which integrates into a cocktail better than an oil. Instead of dropping CBD oil into a cocktail shaker, beverage director Pete Capella cooks it in a burned sugar syrup, which gives drinks a richer, smoother flavor. 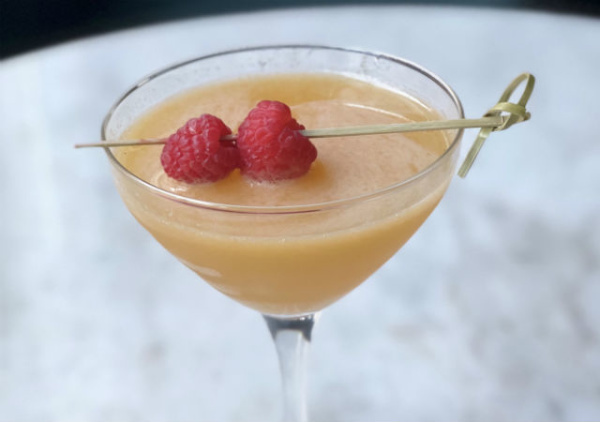 He serves CBD'd takes on classic drinks like the Pisco Sour and Penicillin. You're on the Freehand's roof, at its poolside bar, already entranced by the view of the downtown L.A. skyline. But you can still get higher. "I like to use CBD in cocktails, especially on the roof, because it's all about adding to the vibe that you are feeling up there," says bartender Christine Wiseman. Her Pirate's Gold is a mix of cachaça and mood-lifting Gold Flora CBD oil. 416 W. 8th St., downtown L.A. If you haven't tried Jason Eisner's OG pot cocktails, do it ASAP. The Stoney Negroni and Rolled Fashioned are coming off the menu in the next couple of months. 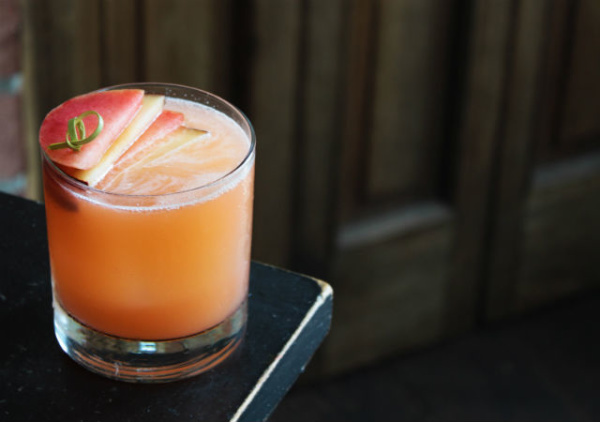 Fortunately, the uber-popular Sour T-iesel will stick around along with bar director Maxwell Reis's CBD-laced mezcal concoctions, the Stoned Fruit and Alternative Medicina. Director of operations Jamie Boalbey said she was intrigued by CBD after reading about its health benefits for anxiety and epilepsy. 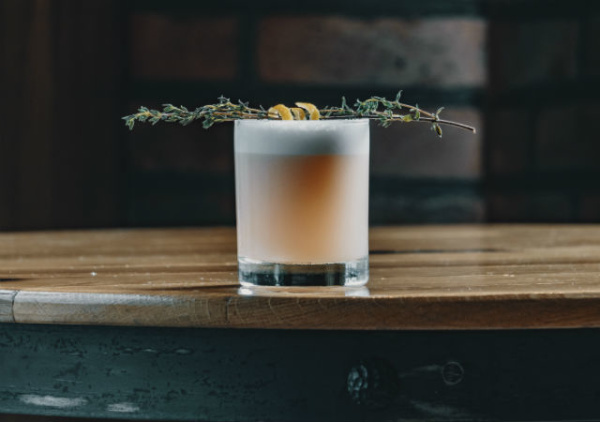 Her Rye Meow, a riff on the Brooklyn, uses elderflower and rye to highlight CBD's earthy qualities. Bartender Chris Amirault likes the way CBD works with citrus but he thinks it changes the texture of stirred drinks, so he adds vanilla syrup to his Pineapple Express, a CBD-spiked Negroni. That helps maintain that silky but weighty mouthfeel of a traditional Negroni. 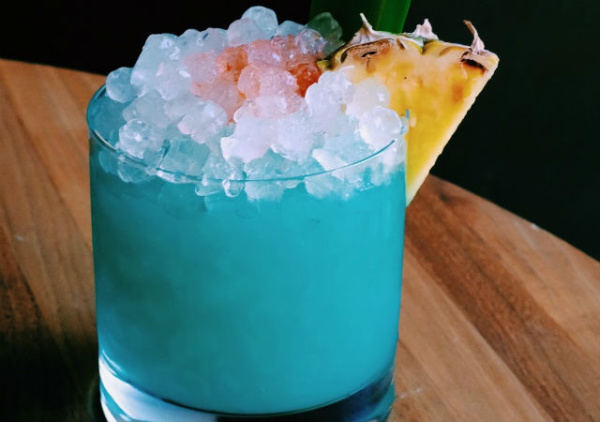 Amirault also serves the Blue Dream, an azure Mai Tai variation he created for 4/20. If you're not feeling either of those, you can add CBD oil to any cocktail for $5. 222 S. Hope St., downtown L.A. Instead of CBD oils, Prank Bar uses terpenes, the fragrant oils that give weed its pungent aroma. The LAVentura is made with limonene terpene, an energy-boosting strain with orange flower. The cocktail uses beet and apricot to balance sweet against tart while the terpene's orange flower bitterness adds depth. 1100 S. Hope St., downtown L.A.